Let the game begin! 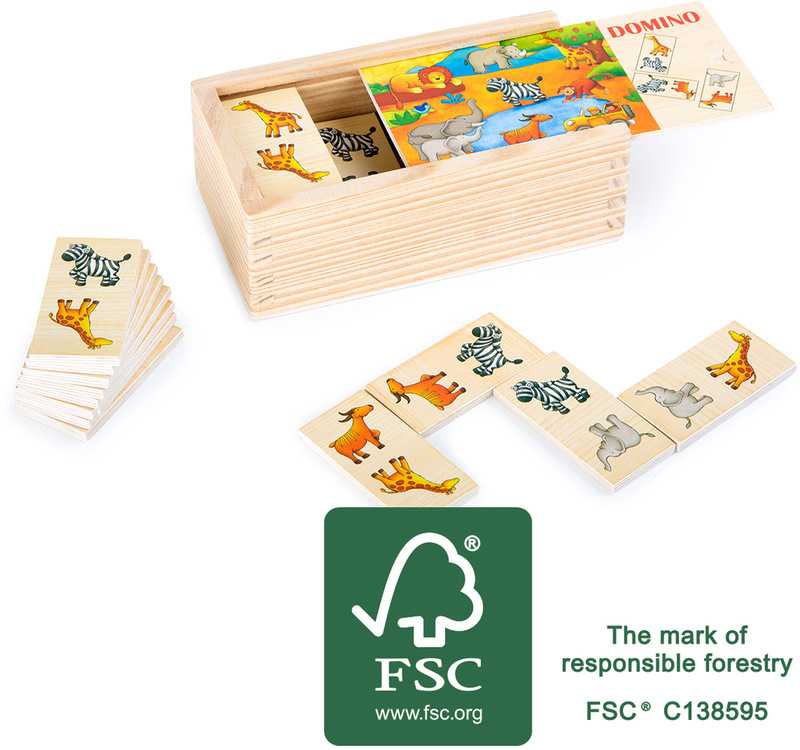 This domino game made of FSC® 100%-certified wood with its large tiles and cheerful safari animals is great fun. This tile game can be simply stowed away in the wooden box and is therefore easy to transport. Please note that this product previously had the product number 10335.